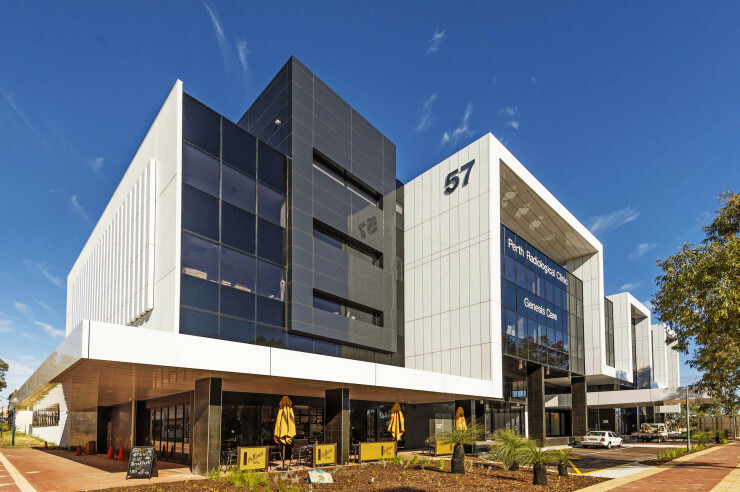 Dr Rodney Butler and Dr Jeanne Louw, together with our team of specialist Radiologists and professional staff continue to provide a comprehensive and cutting edge radiology service to the doctors and patients in and around the Joondalup community. The clinic is on the corner of Grand Blvd and Shenton Ave (black and white building) on the second floor. Parking: All parking is paid parking. There is a Wilson car park underneath that is Credit Card payments only. You cannot park here without a credit card (cannot exit through boom gates). If no Credit Card, it is suggested to park on the street (using coins).